AMANDUS and ANSELM, Abbots of the Abbey of Our Lady of Lérins. St. Amandus reposed in 708, and St. Anselm circa 750. Reliquary of St. Maudez in the collection the Musée départemental breton de Quimper. CONSTANT, an anchorite priest at Lough Erne in Co. Fermanagh, Northern Ireland. Various sources state that he was either a martyr or confessor, though no supporting information is extant. He is reputed to have worked many miracles, though again the details are missing. St. Constant reposed 777. KEVERNE, (Sixth Century), Nothing is known of the life of St. Keverne beyond his friendship with St. Piran of Cornwall (5th March). Some sources speculate they may even be the same person. MAUDEZ (MAUDÉ, MODEZ, MAWES), (Sixth Century), a hermit in what is now St Mawes, in Cornwall. St. Maudez emigrated to Brittany where he, along with SS. Budoc of Brittany (8th December) and Tudwal (30th November), founded a monastery. There are in excess of sixty churches dedicated to St. Maudez in Brittany. MAXIMUS of MAINZ, consecrated the nineteenth Bishop of Mainz in 354. During his episcopacy St. Maximus faced almost constant attack from Arians within his See, until he reposed from exhaustion in 378. MUMMOLUS (MUMBOLUS, MOMLEOLUS, MOMBLE), an Irishman who succeded his friend, St. Fursey (16th January), as Abbot of the Abbey of Saint-Pierre de Lagny. St. Mummolus reposed circa 690. NAZARIUS, a mid-fifth century Abbot of the Abbey of Our Lady of Lérins. 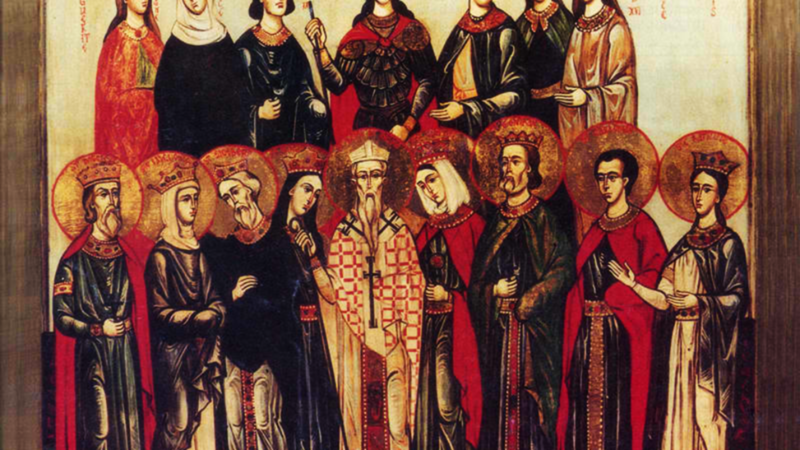 ORICULUS and COMPANIONS, a group of orthodox Christians in Africa Proconsularis, martyred by Arian Vandals circa 430. No further details are known.